A corneal graft, also known as a cornea transplant, or penetrating keratoplasty, involves the removal of the central portion (called a button) of diseased cornea and replacing it with a matched donor cornea. 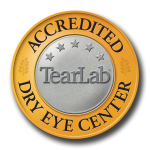 Corneal grafts are performed on patients with damaged or scarred corneas. Usually a corneal graft is indicated when corneal dystrophy, infection or trauma prevent acceptable vision.